The philosophy of the schoolroom in one generation will be the philosophy of government in the next and with the rise in DUMMY ADMISSIONS culture in schools there is a great need to stop and reflect on the situation at hand as no one knows for certain, how much impact they have on the lives of other people. Often, we have no clue! Yet we push it just the same. Dummy Admissions in place like Shimla too are like an open secret and yet nothing is being done to control the unethical practice of minting money by schools. The system has turned a blind eye towards it, and corruption is taking hold. Religion is not about accepting twenty impossible propositions before breakfast, but about doing things that change you. It is a moral aesthetic, an ethical alchemy. If you behave in a certain way, you will be transformed. The myths and laws of religion are not true because they conform to some metaphysical, scientific or historical reality but because they are life enhancing. They tell you how human nature functions, but you will not discover their truth unless you apply these myths and doctrines to your own life and put them into practice. Schools give relaxation to students in their class attendance. The students prepare for the highly competitive medical and engineering entrance exams by joining private coaching centres, thousands of students are preparing for the entrance exams at private coaching centres in Delhi and Chandigarh to name. Many coaching centres are playing the role of a facilitator in the admission process once a student deposits his/her coaching fee. These centres stay in touch with many private schools where such students are enrolled as regular students. They always get the attendance of regular classes, which were not attended by them, which is a violation of the RBSE and CBSE rule of 75 per cent attendance at the school. It is a ‘two-way’ understanding between the coaching centres and the schools. The private schools charge full fee from students only to enroll them as a regular student. The schools see their profit in dummy admission as the students clear the board examination with good marks while receiving coaching at private centres and the schools get the credit. It is a profitable move for the coaching centres as well as for the students. If the students regularly attend their school then they have to devote extra time at the coaching centres to prepare for the entrances tests after clearing the school exams. But, by joining the coaching classes after passing Class X, the students save much precious time for the entrance exams preparation. Coaching centres always witness heavy footfall of students. The District Education Department is hardly concerned with these dummy enrolments as almost all private schools affiliated to the CBSE are indulging in such practice. The violation of the RBSE and CBSE rule of 75 per cent attendance slips there purview, who merrily choose to ignore this topic. What is a Dummy School and how is it Different from a Regular School? Dummy schools are coaching centres that tie-up with regular schools to reduce the school workload on students, thus allowing them more time to focus on their entrance exam preparation. This concept is most popular for the two major entrance exams for science students – JEE and NEET. Students in dummy schools have about two classes a day that lasts for approximately one to one and a half hour each day, which mainly focus on board exams and school syllabus. The rest of the day is spent focusing on entrance exam preparation at the coaching centre, for which the classes typically go on for 8 to 9 hours. In contrast to this, a student from a regular school spends about 7 hours a day in school attending classes for different subjects and engages in extra-curricular activities. Besides this, in a regular school, it is mandatory for students to have a minimum of 75% attendance, failing which students are not allowed to write the year-end examinations. However, due to the tie-up that a dummy school has with a regular school, children there attend school only once a year to appear for the final examinations. Even though CBSE disapproves of dummy schools, according to a report issued by India Today in 2015, there are about 150 small and big coaching centres in the state of Kota, Rajasthan (which is considered to be the biggest hub for dummy coaching for IIT and NEET preparation) and about 1,20,000 students from all over India take admission every year. Besides Kota, other major hubs where dummy schooling is quite prevalent are Patna, Vishakhapatnam, Kanpur and Chandigarh. Being a part of a regular school makes a child manage time and tasks more effectively. Here a student is required to manage multiple tasks at once from attending classes to making a presentation, participating in school activities, writing exam and taking practicals, attending tuition classes, taking out time for self-study, as well as participating in recreational activities. In spite of juggling so many activities at once, students are able to make time to prepare for entrance exams and class examinations as well, which is a feat in itself. As such, a child who attends a regular school gets wired to handle many things at once and do justice to all. However, these skills often go missing among students of a dummy school since they follow established routines and get into the habit of focusing on one thing at a time. While this practice can help them ace their exams, such students tend to face difficulties in the real world, if one looks at the larger picture. This habit becomes a hurdle when they join college and have to juggle between their academics, classroom projects, college functions, and other extra-curricular activities they have to take part in. Such habits can be carried forward to one’s professional life too and can make completing tasks difficult. Talking about both forms of schooling; while a dummy school focuses on helping your child prepare for competitive examinations, it can backfire if your child is unable to crack the exam, or if s/he is unable to score well in the board exams. So, as a parent, you must evaluate the pros and cons of both the options carefully, since this decision has the potential to impact your child’s future and career. DUMMY ADMISSIONS in schools are not only unethical but illegal also. How can a student mark his or attendance at two places at a time? It’s a big nexus between coaching institutes and dummy admission giver schools. Actually, such coaching institutions and schools have become money-minting factories. Its a win-win situation for both. Parents of the students are in the endless race to convert their child into a doctor, engineer, civil servant, or manager in any multinational company so that he could also earn good money. In this cut-throat race, we find no place for moral values or respect for law. Money is everything for them. But, as a society, we are spoiling our children by indulging them in an unethical, immoral and illegal business. Himachal too is witnessing dummy school practice in all major towns. It is the primary duty of the Education Department and Boards, particularly CBSE and ICSE etc., to have a constant watch on these school and defaulters must be brought to justice. No civilized society can allow inculcating immorality in children. It has to be checked and stopped. Dummy school is not what everyone wants in this society but the parents, who want their wards to establish a higher position in future world, take it as surplus to cope up with the new generation or be ahead of them. It is illegal in many aspects in our country. A difficult situation, as being so called regular student but not with the help of authority of school, college, universities, private institutes but if something happens to them in their so called duel life, who is responsible for that. 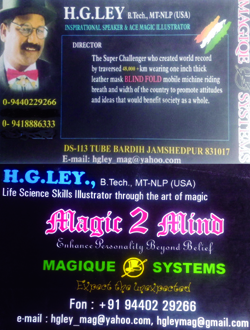 On other hand if we take the scenario of other western nations, they have a security purpose too, they have specific timings for dummy classes which is necessary for educational purpose but they also go through the learning and self building purpose which is most important for a ward to grow as a good human being. Their parents have a particular mindset that their ward will be something in life. On other hand, we have a different approach for our ward and we want them to get a degree for earning, and make a living. He concludes, First the system of education; Second the mind set of parents; and Third the nature and environment of the ward to be a better citizen for the nation and humanity — If all three are used efficiently only then this dummy system is better with proper rules for a brighter future of such children. Dummy schools don’t have a proper set of rules. Attendance is not required. You may be called however, for some formalities. Practical are not conducted but practical files may have to be submitted. Exams are not conducted properly. Either the paper is sent home or solutions are provided beforehand. The students rarely visit the schools to attend regular classes. They only visit the school to appear for exams as regular students. It is against all ethical practices. Students preparing for competitive examinations such as JEE, NEET etc., often feel overloaded for not being able to balance their school studies while simultaneously preparing for competitive exams. Many students at this phase of life feel crippled and think their school life is hindering with the quality of preparation expected of them to crack these competitive exams. They hence switch from a regular school to a dummy school, where they focus solely on competitive exam preparation. The concept of dummy schooling has now become quite popular and more and more students are enrolling themselves in this system of education for pre-JEE / NEET preparation. I must say dummy system provokes and misappropriation practices by schools. In the name of dummy admissions they charge a huge amount and converted education into a business activity. The schools and education boards should be honest and sincere about their rules and regulation. IIT or NEET are not the last entrance exams of life. On the other hand, coaching centres are also charging a huge amount for admissions, which should also stop. Alternately, as a rule, the education system should offer an optional choice for a students to either opt for schooling from a recognized coaching centre. It is high time that important steps are taken at government level to stop all this business in the name of Coaching or Dummy Admission. Being a teacher, I don’t support dummy admission. It effects the overall growth of a child. The mental, physical and personality development of a child is best possible in school with regular admission and not through dummy. It is the need of an hour. Since, there is a lot of difference between competitive and the board curriculum, so if one has to clear JEE or NEET then s/he has to prepare separately. According to me, the present curriculum should include competitive study as well which would enlighten the students with subjective and competitive scope of life. DUMMY ADMISSIONS in schools have become a fad. Basically parents’ too are looking at an easy way out. They have the money and want their children to excel in the JEE / NEET entrances and are ready to shell out any amounts. Getting a School name tag and attendance becomes easy and the child sits in his safe confines to prepare for the exams, once in a while going to the admitted school for documentation signing etc. A very unfair practice adopted by the parents and equally encouraged by coaching centres who have tie-ups with schools facilitating this mode of admission. The more relevant question is that why don’t such students take admission in Open Schools. Why is the school name so important for the parents and children?